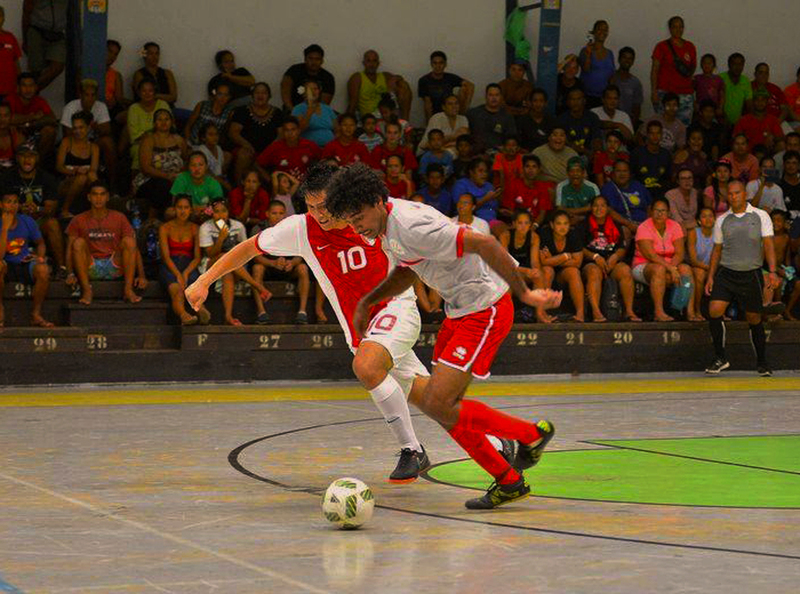 The first test of the three match international futsal series between Tahiti and New Caledonia has fallen in favour of the home side who secured a 2-1 victory over their Francophone neighbours at Fautaua overnight. The Aito Arii had the best of the early chances in the encounter with Jacob Tutavae’s men hitting the post twice from close range in the first half, but were unable to score. For their part, Les Cagous also had a few chances but took their shots from further out hoping to catch the Tahiti defence by surprise. The return of Smith Tino to national team colours proved a strong move by the Tahitians as he influenced the match from the outset with the technique we have come to know well. Making a move up the left flank, he drew the defence before laying off a powerful cross to the back post where Manutea Blumet was waiting to open the scoring. Goalscorer Blumet then turned provider as he played a fantastic one-two with Tehau Barsinas who put his side 2-0 up. Les Cagous then fired back through a low struck corner which made it to the back post for the New Caledonian number 3 to lose his marker and send into the back of the net.